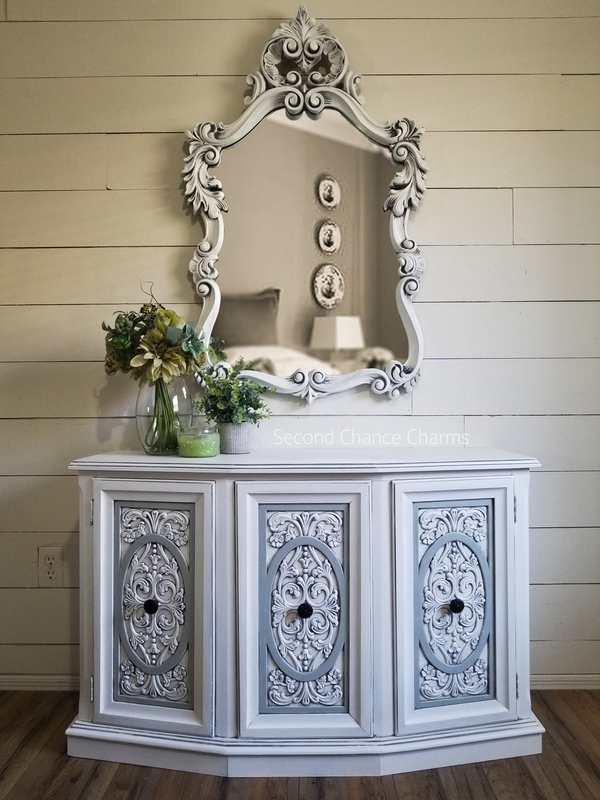 One of the first things I ask of my clients who reach out to me about refinishing a piece of furniture for them is “send me your inspirational photos!”. 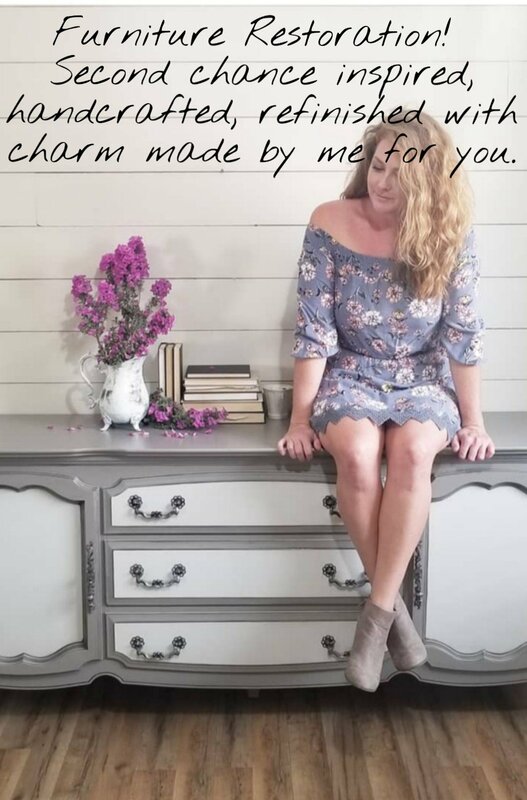 I LOVE that you love my work and want my style in you home but I also want to know what LOOK you are trying to achieve. Visual aids help us both! 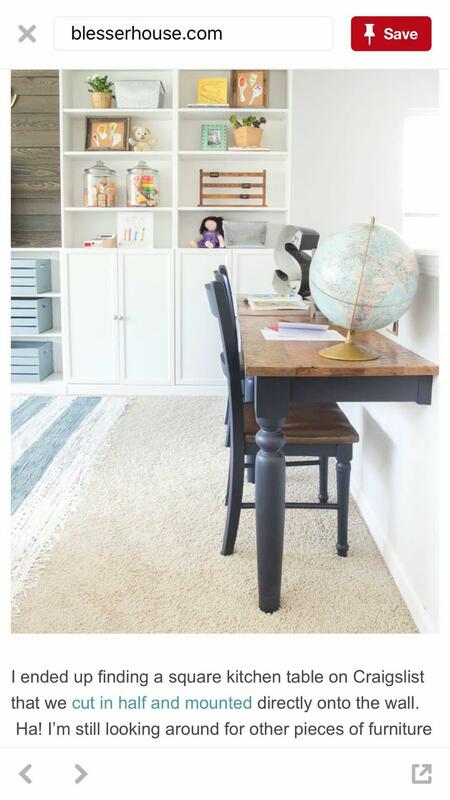 So I received a few pictures from a client wanting to do what she saw on Pinterest (who among us has not?!). 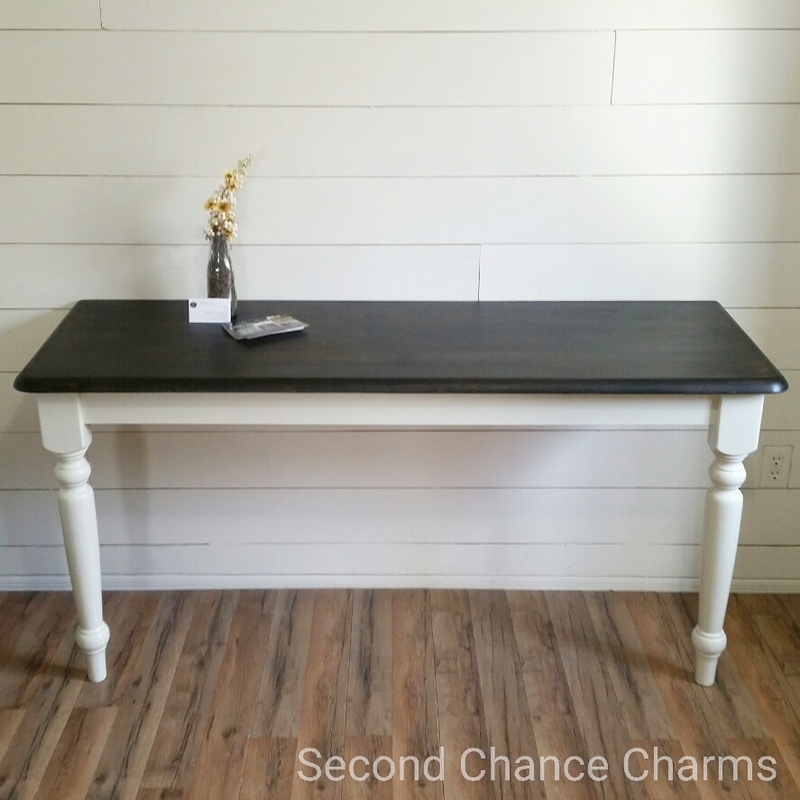 She received this table for FREE from a fellow refinisher and friend of mine. We cut the table in half to get started! I have been wanting to do one of these for quite some time! 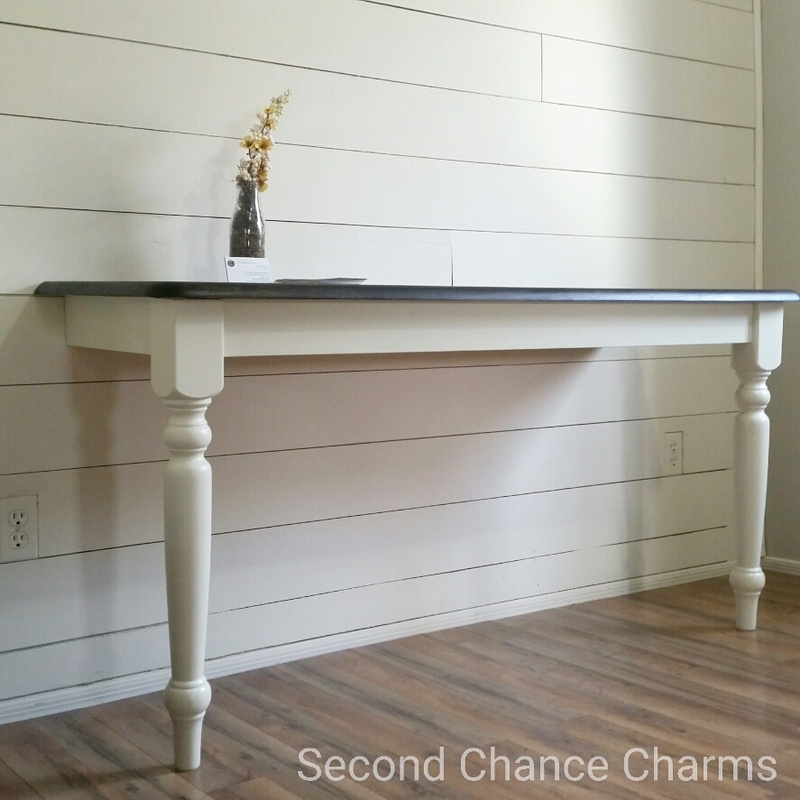 My client will use brackets to attach the back end of the table to her wall. 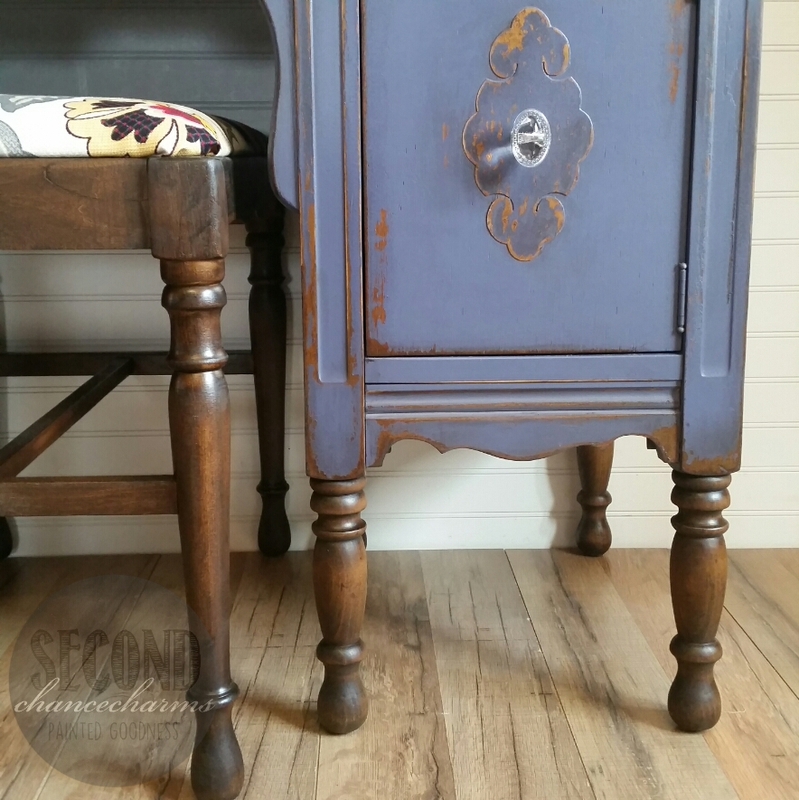 Refinished in a custom color that matches a hutch she had finished. A creamy white. Stained the top in a Dark Walnut. November is finally here!!! This is the time where we enjoy pumpkin spice everything, sweaters, scarfs and hats and cozying up to the ones we love! Being thankful of who is in our lives and appreciating all the little things- Not that we don’t do it year around- but sometimes tis the season for remembering those things. I get it. Life gets busy. Take this time to slow down and enjoy all the moments, the stories and the company! October was enjoyable over here in the Studio! 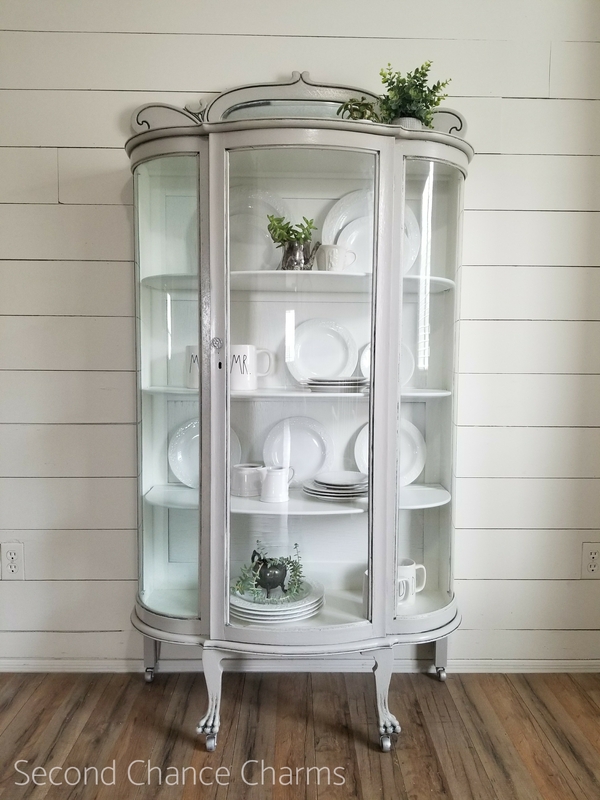 Not only was I able to get one inventory piece in over at Shop Selections, but I got my hands on some very gorgeous pieces that had solid bones, lots of details and perfect pieces to showcase my glazing techniques for my Portfolio. 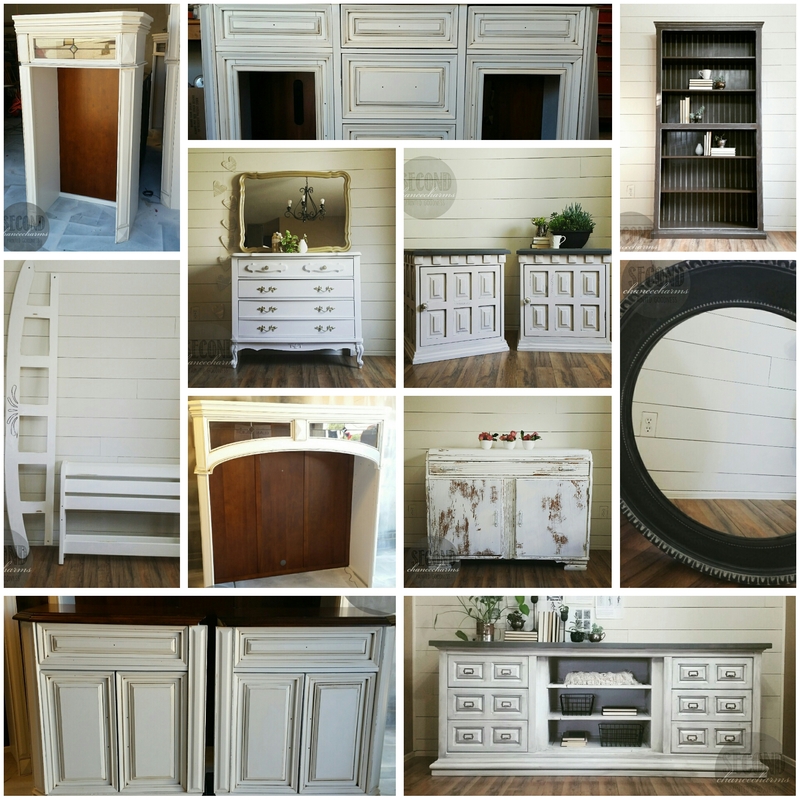 Lets look at what was completed for this month! There is another reason why the month of October will forever be in my mind- I reached my 100th piece YTD! 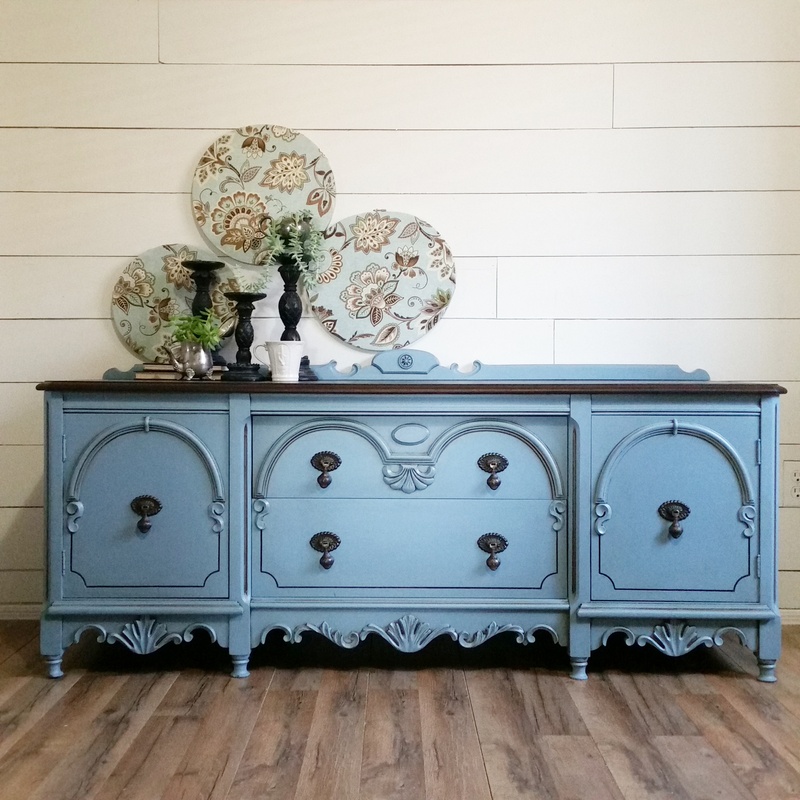 You can check out my clients antique beauty’s debut over at Antique Buffet- 100th Piece YTD . 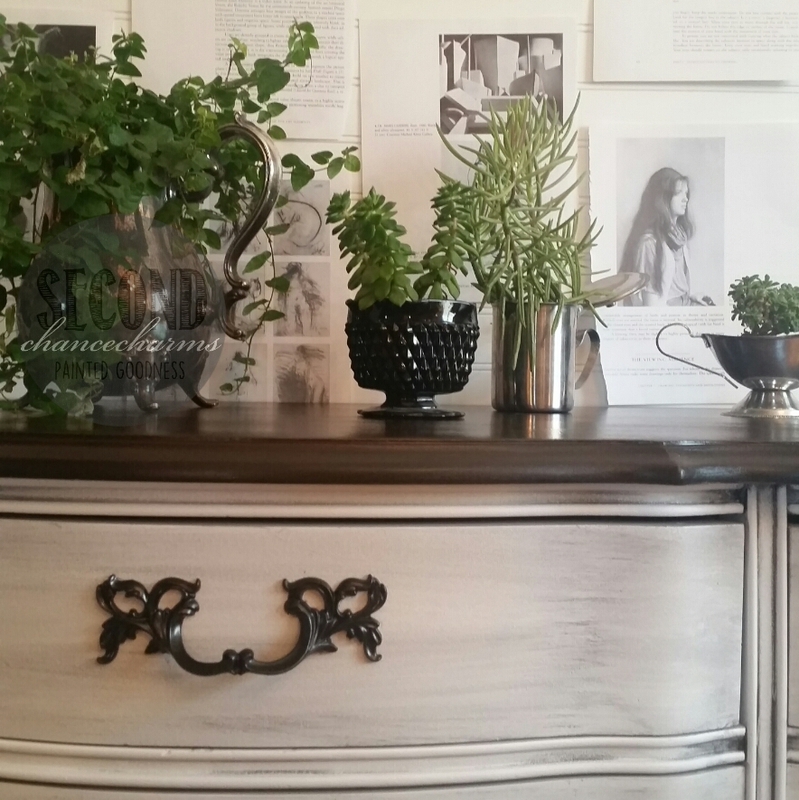 Last year in 2016 we reach our 100th piece back in August with this lovely gem, 100th Piece YTD- Buffet. 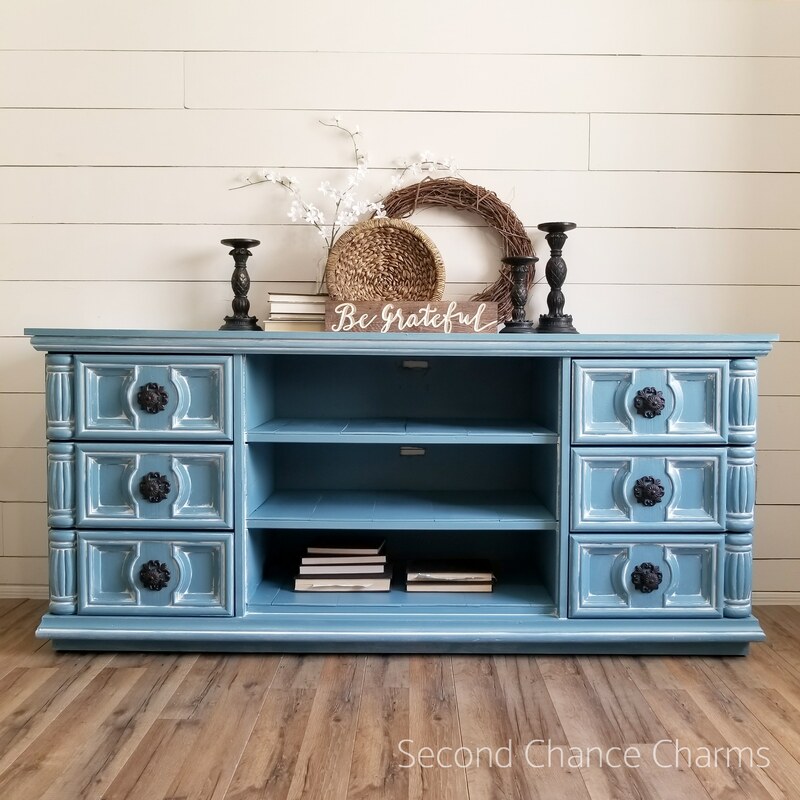 Big or small, I truly believe all of Second Chance Charms pieces are wonderful! Thank you so much for your continued support! I hope everyone had a safe and Happy 2017 Halloween! 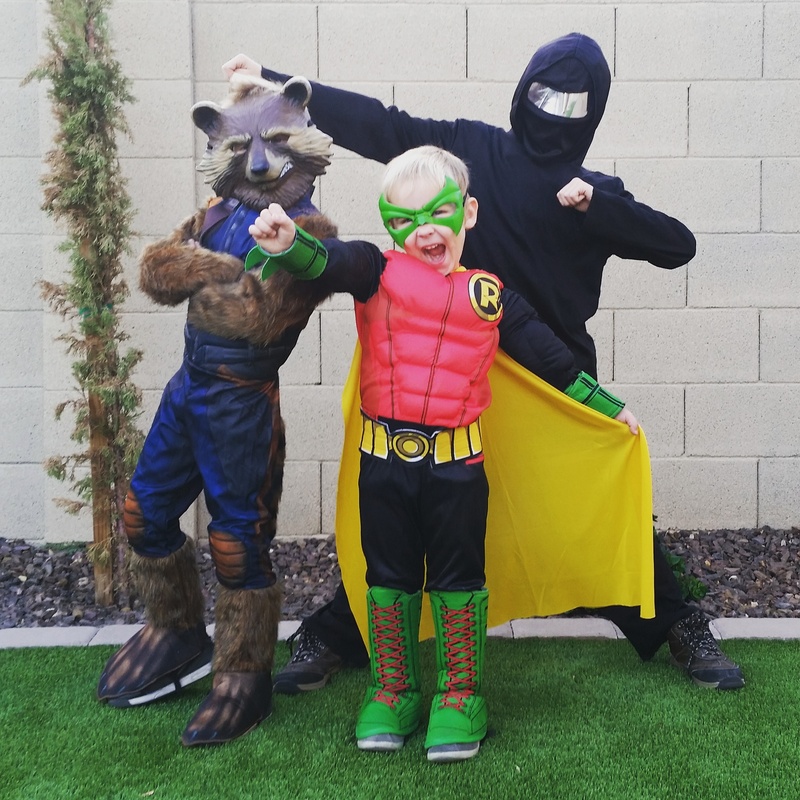 Here are my handsome three boys- A Ninja Warrior, Rocket from Guardians of the Galaxy and my little sidekick Robin! Summer break has come to an end and the 2017-2018 School Year is starting this week for my littles. We are all ready to rock and roll and make this year another great school year! As always I ask for your patience as we adapt to our new schedule. 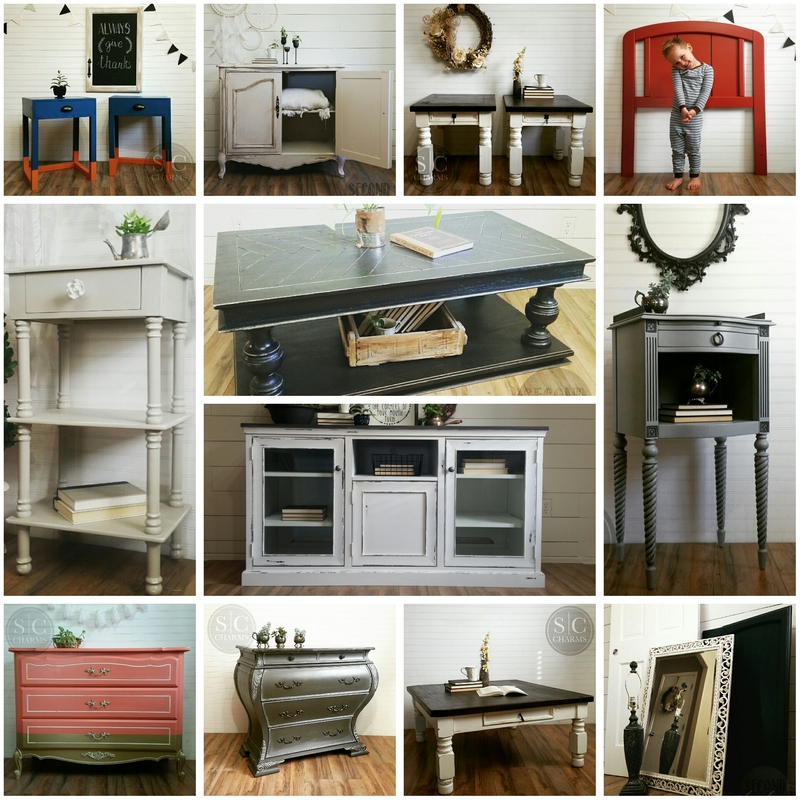 In July there were some amazing pieces that were completed for both customers and inventory!! As always please email, text or call me for a quote! Remember to get yourself on the First Dibs Email to be notified first on available pieces. Let’s take a look at what was completed for the month of July. 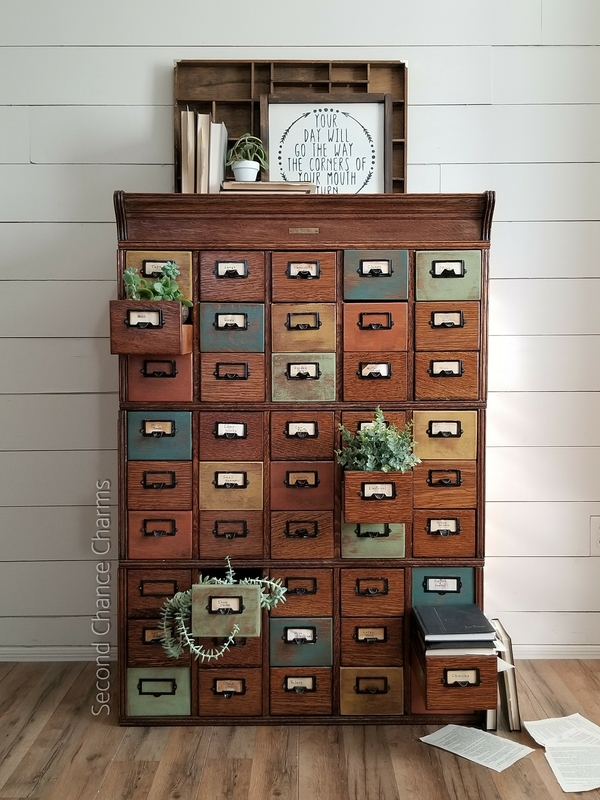 Click over to Shop Selections to view what is available for purchase! 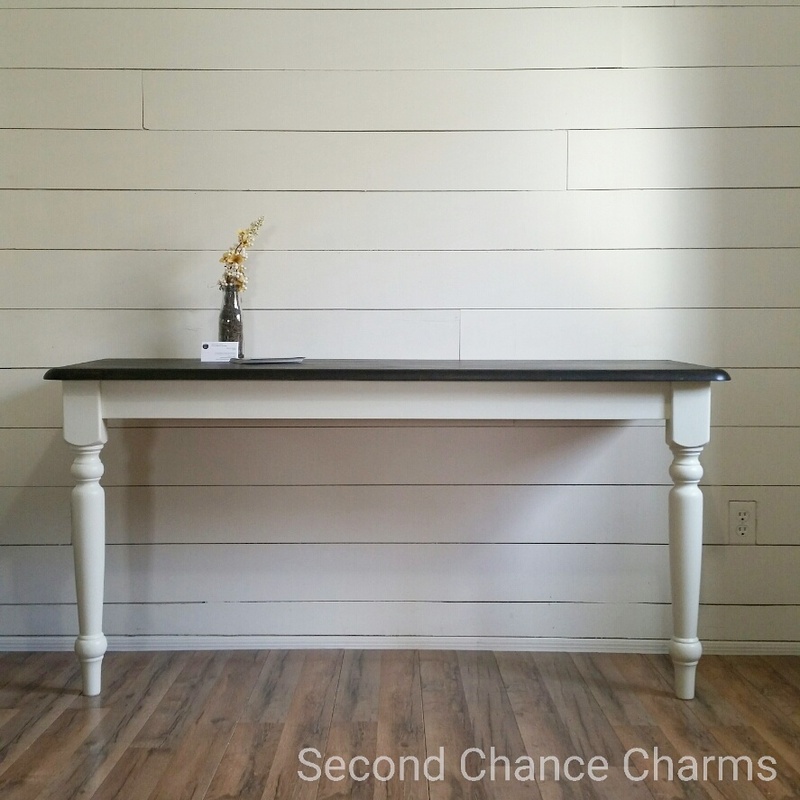 Keeping on point with my 2017 New Years Resolution- Inspiration , I am happy to share with you that I started a Behind the Scenes with Second Chance Charms. 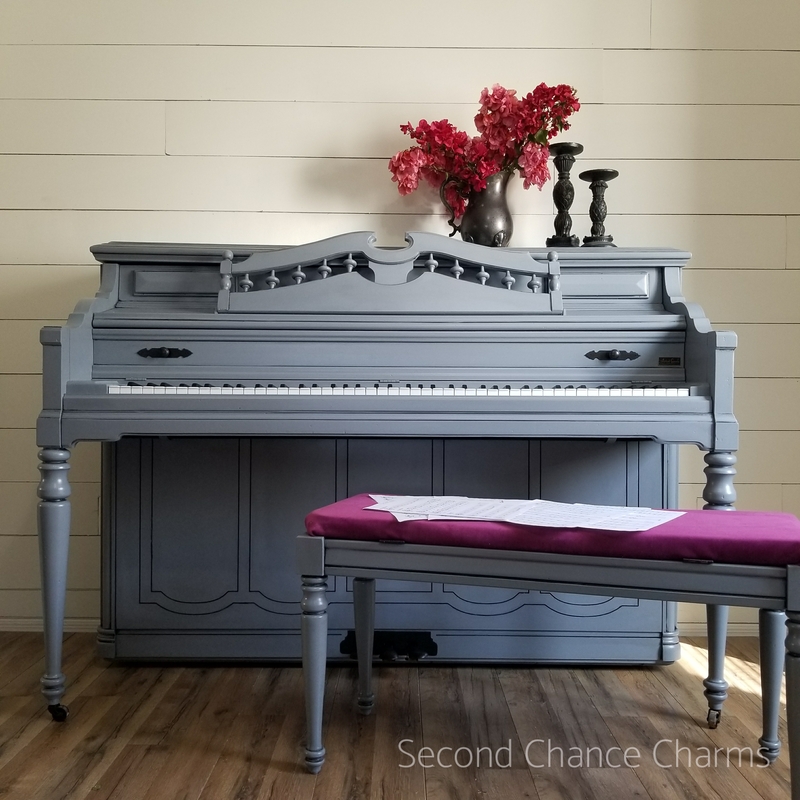 A group on Facebook where clients, refinishers and friends that want to see ‘behind the scenes’ of what happens here at Second Chance Charms. 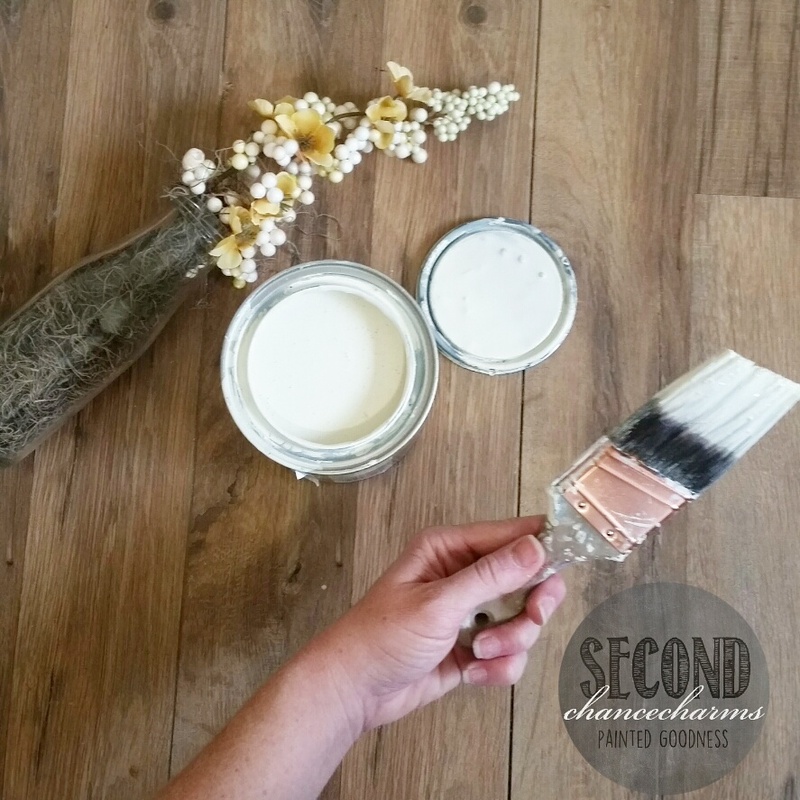 Refinishing furniture isn’t glamorous, easy or quick (well, when I do it at least). 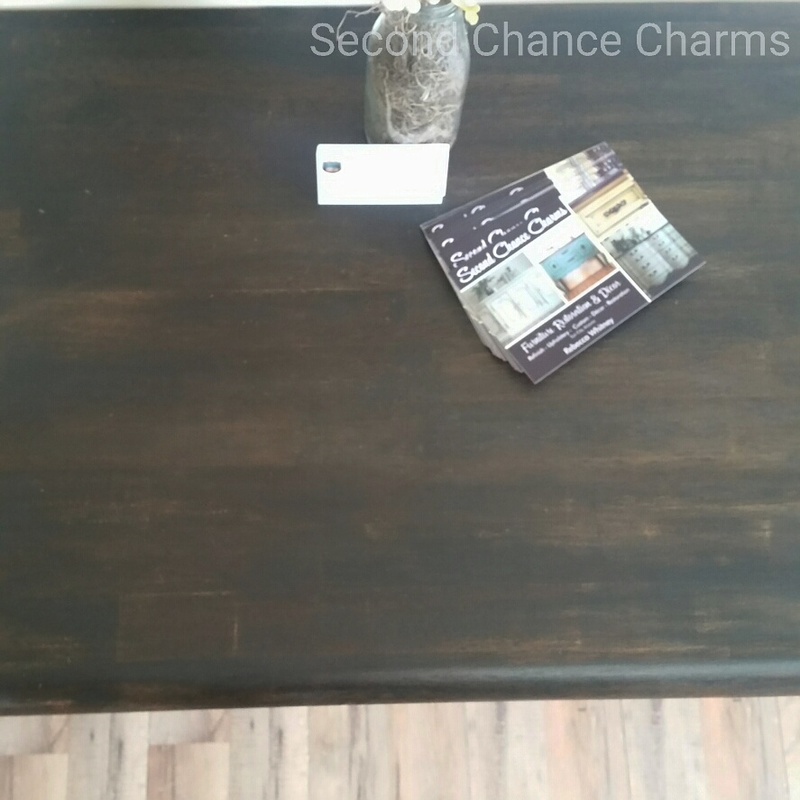 You will laugh with me at my corkiness, watch all the work that comes with refinishing a piece of furniture- beleive it or not, most pieces don’t require only paint. 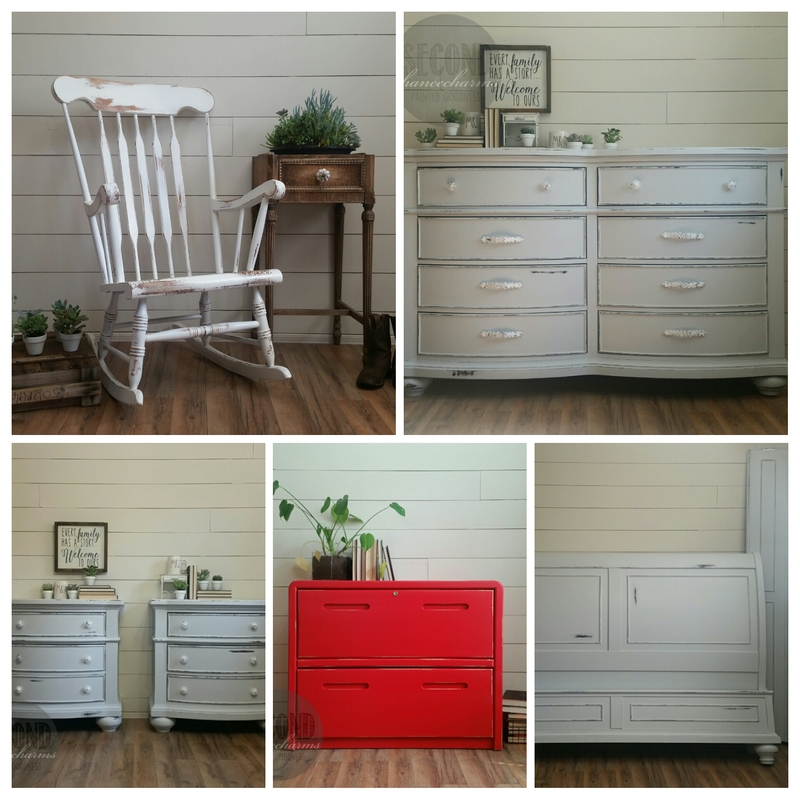 Find tips and advice on upcycling, staining and painting furniture. You can ask for help, color suggestions and more with a group of amazing individuals who share a common interest! 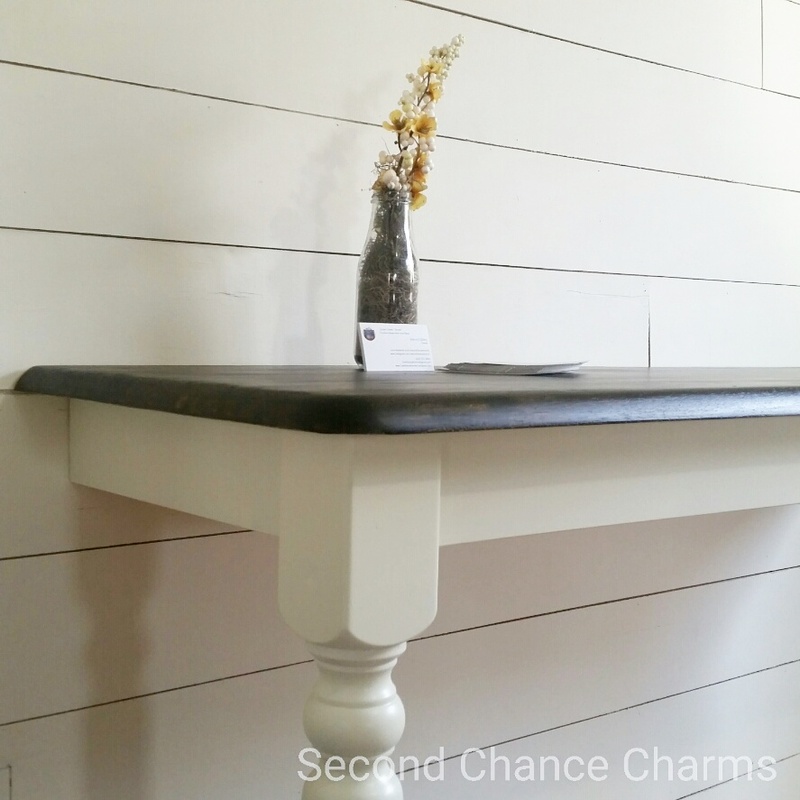 There is an album where you can see all SCC pieces in my client homes! 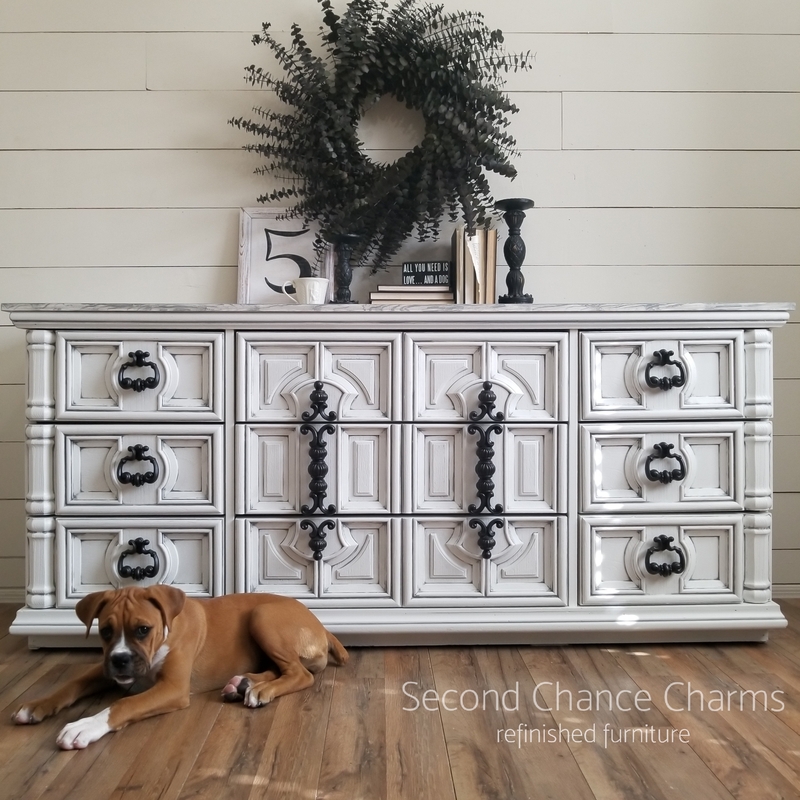 You can find this group here: Second Chance Charms (Behind the Scenes) Furniture. Come and join in! 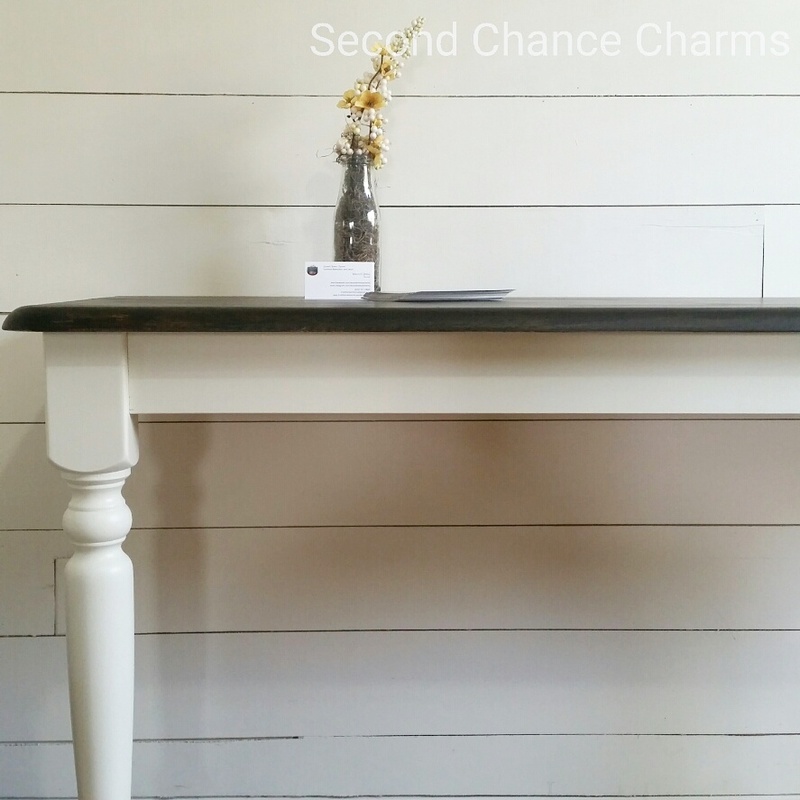 As always, visit Facebook: Second Chance Charms to view Second Chance Charms custom pieces, inventory selections and more!